During winter your furnace contributes 20%-40% to the total utility bills. You can reduce the prices of the natural gas but you can increase the efficiency of your furnace. Some simple steps are to be followed to lower the running cost of your gas furnace and to increase its efficiency. Call a professional for the yearly maintenance of your gas furnace. Maintenance should be done before the beginning of the cold winter months. 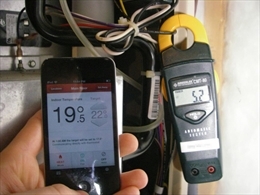 Timely check up will help to solve the problems and keeps your furnace running efficiently. Reduce the temperature of your thermostat to 680C. Wear some hot clothes to stay warm and also reduce your furnace cost. Clogged or dirty filters reduce the air flow in the furnace and make your gas furnace work harder to maintain the temperature. Changing filters every month maintains the efficiency of your furnace and furnace warms your room easily without much load resulting in low energy cost. Programmable thermostat helps you to set different temperatures when you are at home and when you are out. Using a programmable thermostat will help you to reduce your furnace bills. Warm air travels inside the house through duct work. If there are holes or cracks in the duct work or your ducts are not properly sealed. Use duct sealing tape to seal the ducts. If you find any leaks in the doors, windows or walls off your house seal those leaks. As air leaks make your gas furnace to work harder and results in high bills. Keep the curtains of the windows open during day time so that rays of sun can reach your home and make the rooms naturally warmer. This will reduce the load of your gas furnace.